Financial planning is something that may not be the most topical subject for today’s millennials. Subjects like savings and insurance sound complex and, rightfully so, in their traditional format. However, financial planning becomes increasingly important as young adults embark on the higher education journey or take the initial steps in their careers. I believe that the long-standing gap in financial literacy can be bridged by leveraging technology as a means of self-education in order to foster a more balanced and financially stable generation. The millennial cohort, the largest demographic in history, has grown up with technology. They are digital-natives. By tailor-making products that educate and serve their real needs, the discrepancy in financial education can be circumvented. This movement is already happening. By 2020, an estimated 155 million urban, banking users will actively access online banking. It’s simply now time to better serve India’s young adults and create better solutions. The token advice has been to begin with the simple practice of allocating a certain portion of your regular income to savings. The first place to start is by monitoring your recurring spends such as rent, service bills and EMIs. Allocating monthly entertainment funds, before finalising the monthly saving amount, makes the goal more realistic and achievable. Financial security is not impossible to achieve with a savings goal and a plan of action. No income is too small to plan and no age is too young to start planning your personal finances. The idea is to start with very simple tools and work your way up, adding more layers as you go. 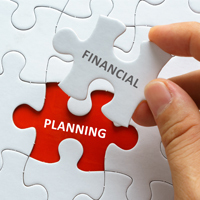 Modern day financial planning tools are online and easy to understand and access. A lot of work is being done by modern financial service providers as they understand that it is essential to create a digital ecosystem for young adults. Today, 40% of online transactions are made by people between the ages of 19-34 years with only 12% of people preferring offline transactions. Fintech and insurtech companies are actively working to open doors for young adults to ease into financial literacy. Exploring early-stage financial services that make sense for your lifestyle can transform into something powerful. There are simplified and contextualised options, tailor-made to better serve millennials. Some examples are micro-investment applications and singular-focussed insurance products. These tools allow easy entry into the world of finance and serve as a bridge towards a modern, developed and healthy economy.